This 13.56mhz Silicone RFID Bracelet with MIFARE® Ultralight® EV1, in 48 byte memory can meet your encoding a short URL and datas need. It is in blue color, other colors black, white, yellow, blue, and red ect available. Or give us your Pantone number, we can do your color silicone rfid bracelet. 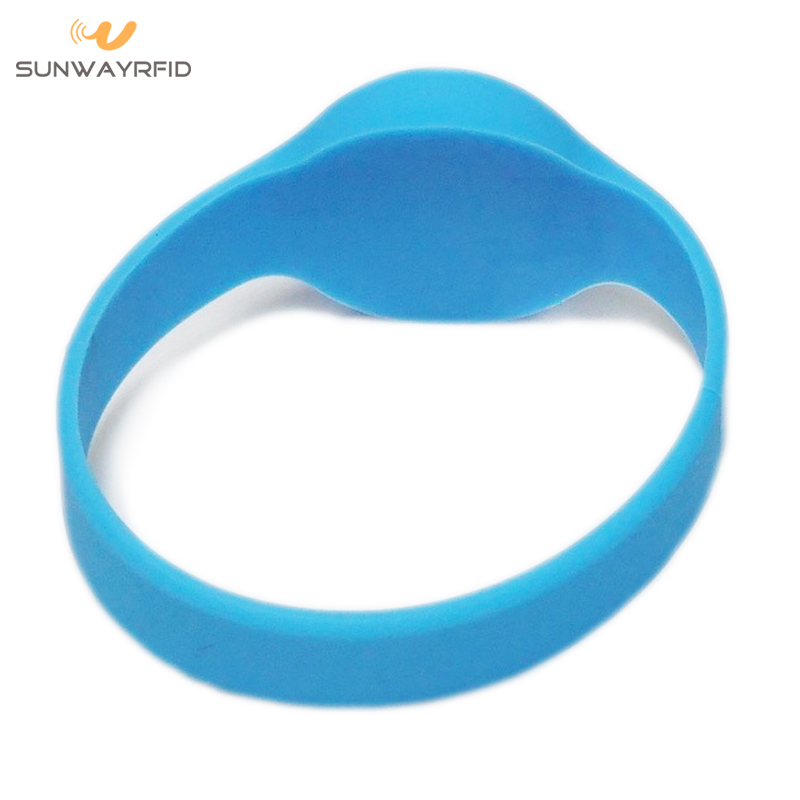 Ultralight® EV1 chip is popular using for ticketing management, 55mm, 60mm, 65mm, and 74mm different size rfid silicone bracelet can meet people requirements. 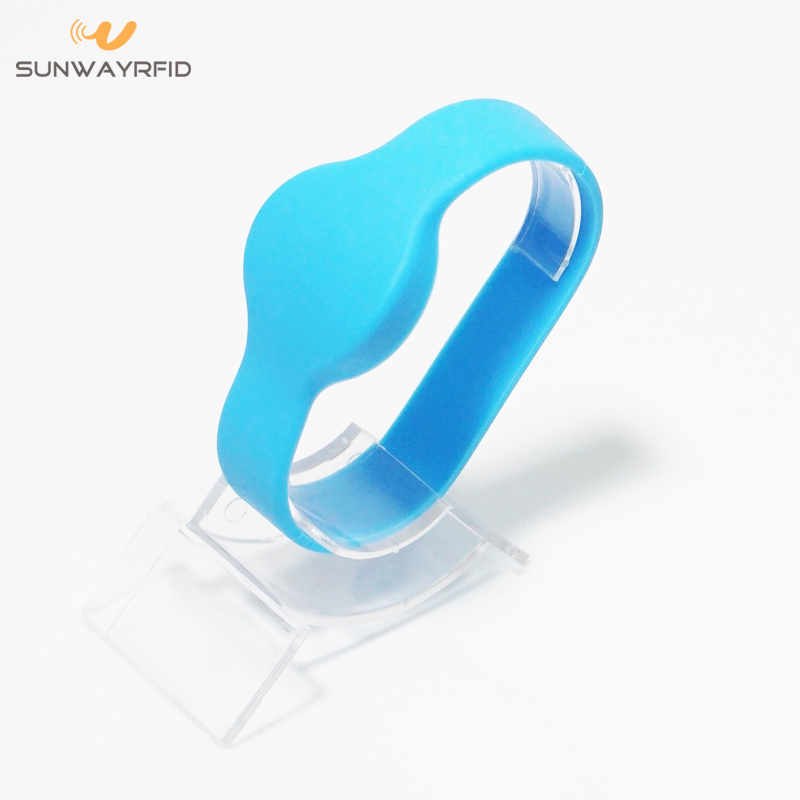 SunwyRFID have 8 years experience in RFID wristband manufacturing, you can get a high quality, fast services, and good price wristband price from us. 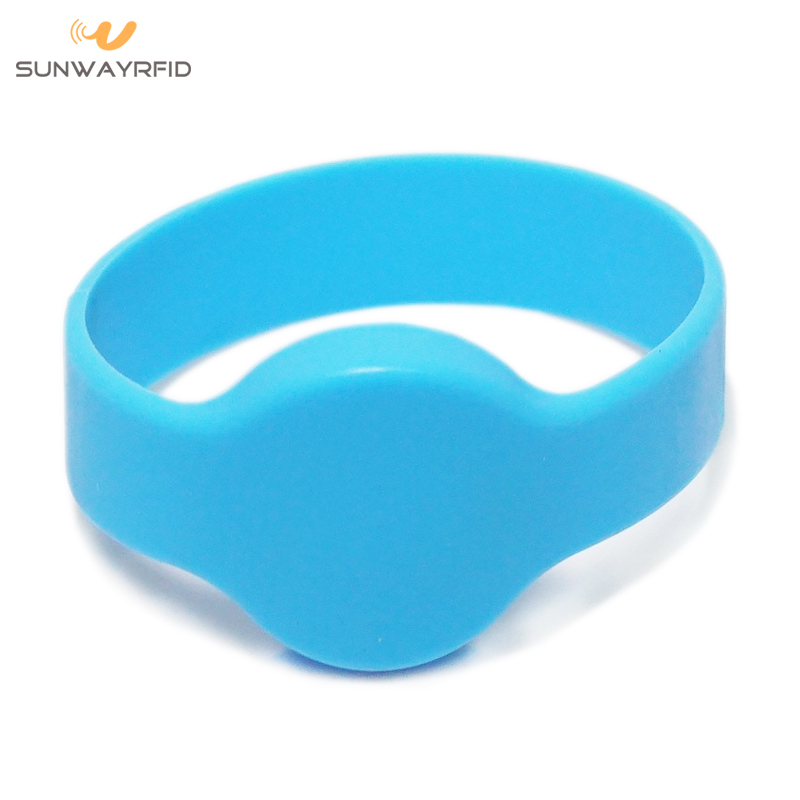 SunwayRFID also provide RFID Wristbands, NFC Wristbands, RFID Tags, RFID Cards, Silicone RFID Wristbands, rfid readers and RFID Token. 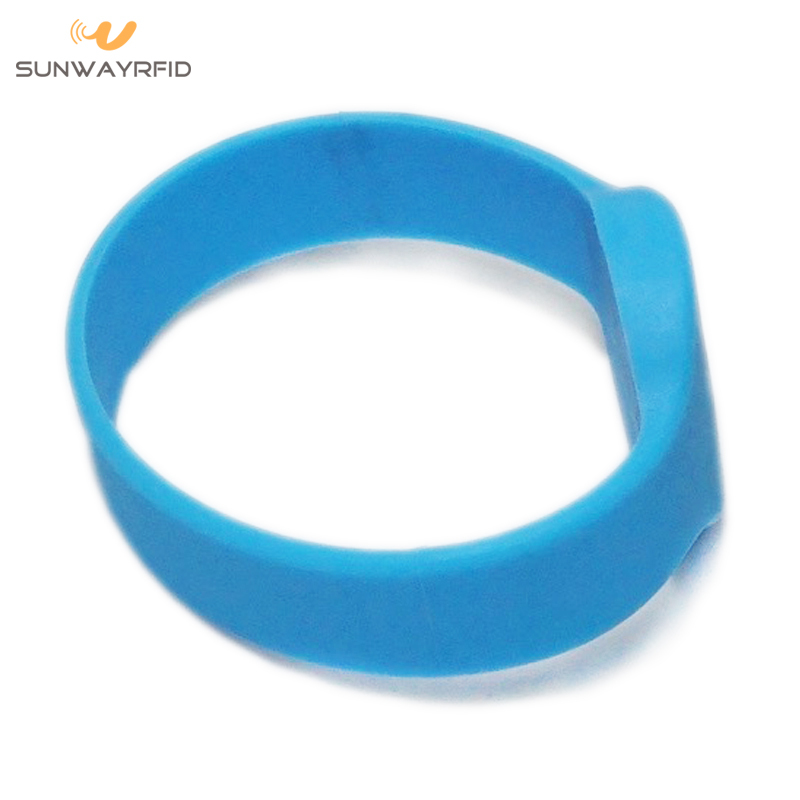 Looking for ideal Silicone RFID Bracelet Manufacturer & supplier ? We have a wide selection at great prices to help you get creative. 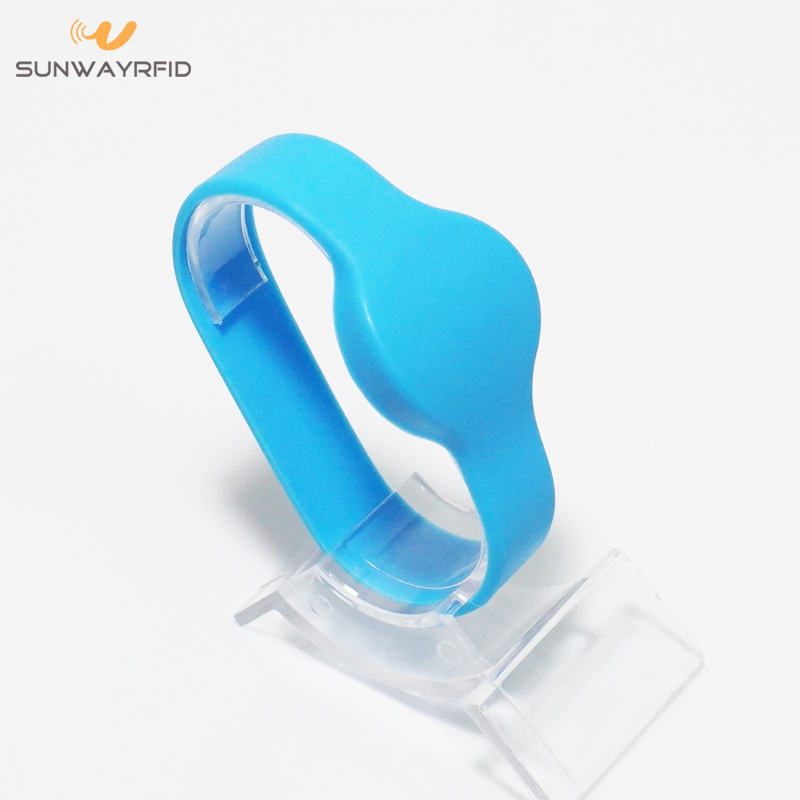 All the RFID Silicone Bracelet are quality guaranteed. We are China Origin Factory of MIFARE Ultralight RFID Bracelet. If you have any question, please feel free to contact us.